State and federal laws for marijuana and hemp are changing. These changes are often in conflict. Federal and state agencies across law enforcement, food and drug safety, health, agriculture and banking are responding with new policies and regulations. 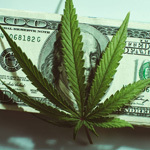 This seminar explores the issues presented for bankers by these changes and the rapidly expanding marijuana industry. Seating for this seminar is limited. Priority consideration will be given to MBA members who register for this program.